As you know we love receiving photos, emails and letters from happy hounds. We wanted to share an email we received this week from Lollipop’s owners Vikki and Darren. 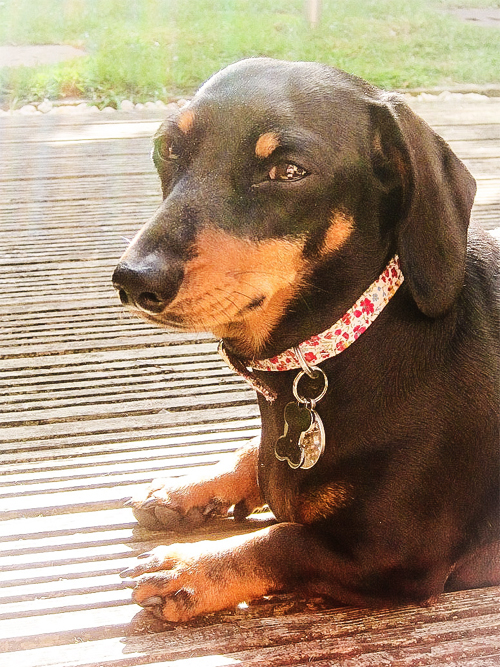 Just wanted to show you how gorgeous Lollipop looks in her new birthday ‘Amberley Liberty print‘ collar from Lovemydog, she looks beautiful in it. Thanks for the prompt delivery and it came in a lovely presentation box, easy to wrap, so birthday sausages had fun, unwrapping!!!! We shall be recommending your website to everyone!! !